The Ferrari 308 GTB and GTS were introduced back in 1975, and fulfilled their role as entry-level Ferraris in what was then a soft worldwide market for exotic cars. Featuring a mid-engine design with V8 power and spectacular styling, they sold well. 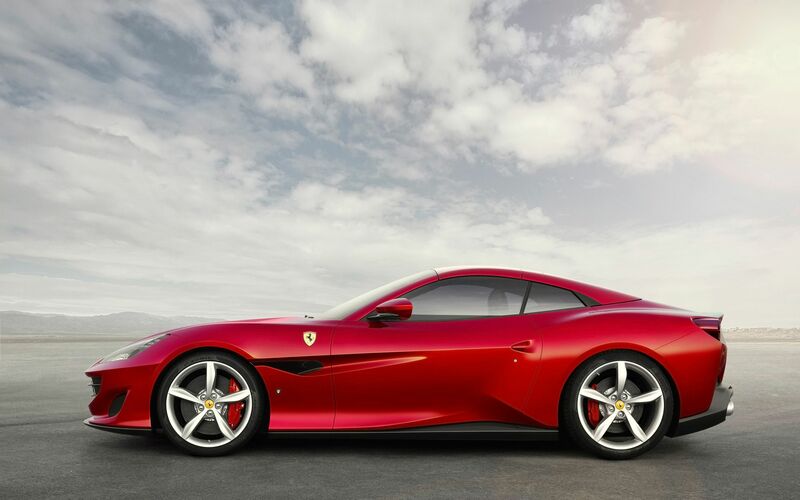 They were the beginning of a long line of mid-engine V8 Ferraris that were legendary cars in their own right while slotting beneath the V12 cars and special editions that were the traditional mainstay of the company's road cars. Then at the 2008 Paris Motor Show, Ferrari introduced the California, the beginning of a new line of V8 cars that were now front-engined, featured 2+2 seating, and were equipped with a retractable hardtop. Sticker creep was definitely in play with the mid-engine V8 Ferraris, and the California countered that somewhat by being a little less expensive than the Ferrari 458. Enter the Portofino, the replacement for the recent California T. Like its predecessor, it is powered by a twin-turbocharged 3.9 liter V8, but now producing 591 hp, an increase of 39 horsepower over the California T. The additional power comes by way of new engine software calibration, a new exhaust header, a new intake, and new pistons and connecting rods. The new engine offers both better acceleration and reduced fuel consumption. A completely new chassis is both lighter and more rigid than the older chassis. New features include Electric Power Steering, which allows for a 7% reduction in steering ratio for greater responsiveness. The magnetorheological damping system now features dual-coil technology to limit roll and smooth out ride irregularities. A third-generation Electronic Rear Differential offers improved control in difficult turns.